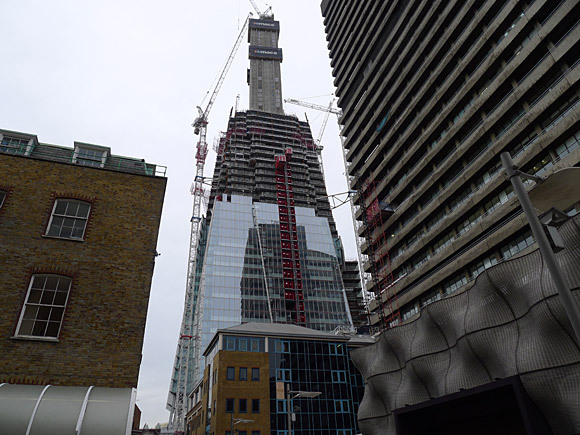 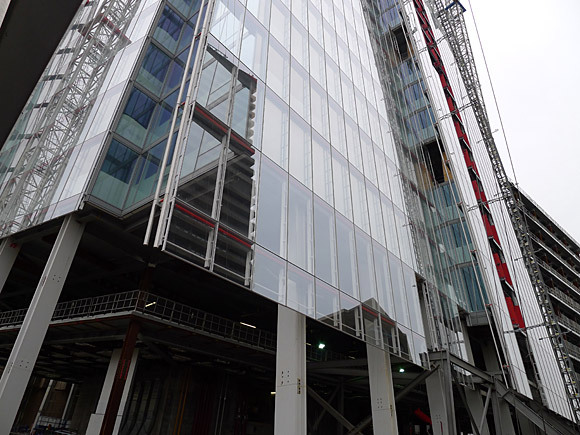 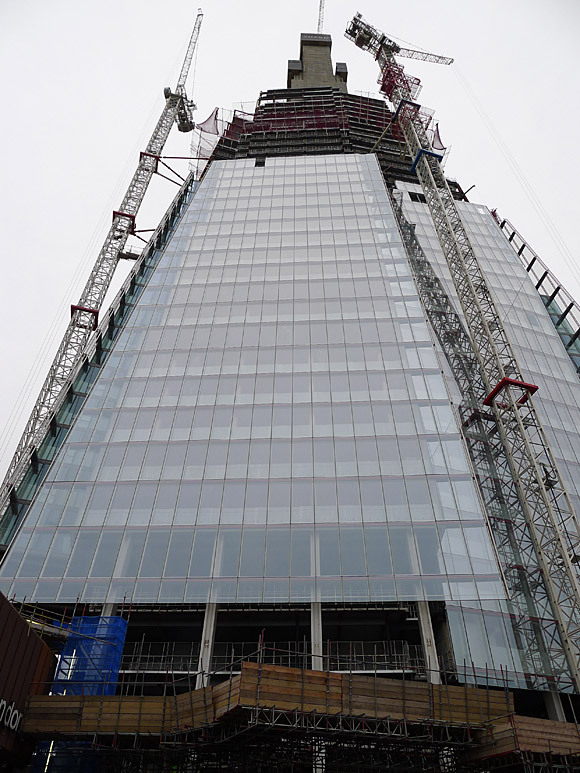 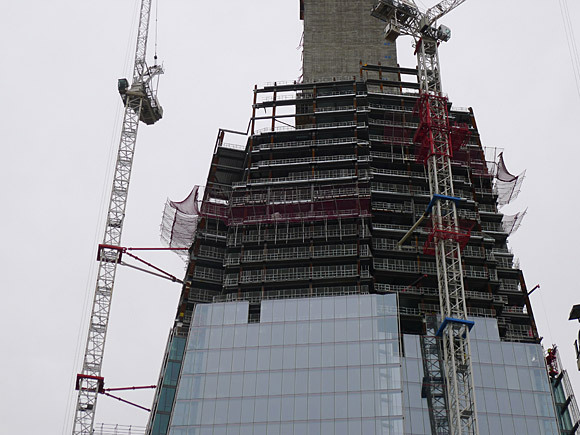 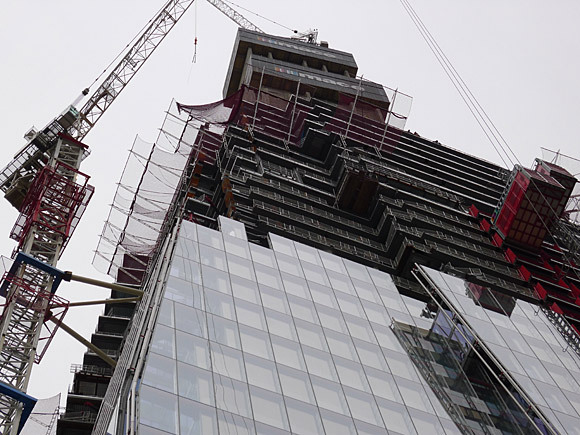 Now reaching the start of the viewing gallery and open air observation deck at floors 64-72 is the Shard tower at London Bridge, which can already claim to be the tallest structure in London. 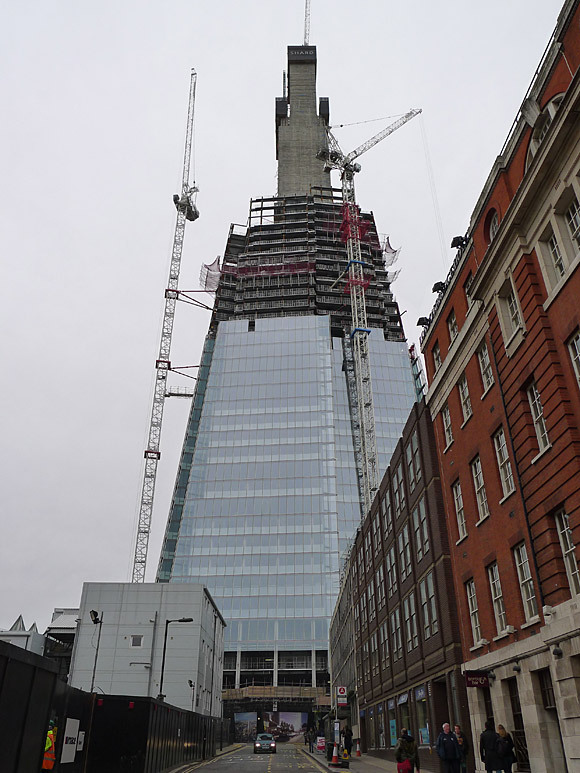 I took some photos back in mid-September 2010 and later that same month, but you can see that it’s still growing upwards at an astonishing rate. 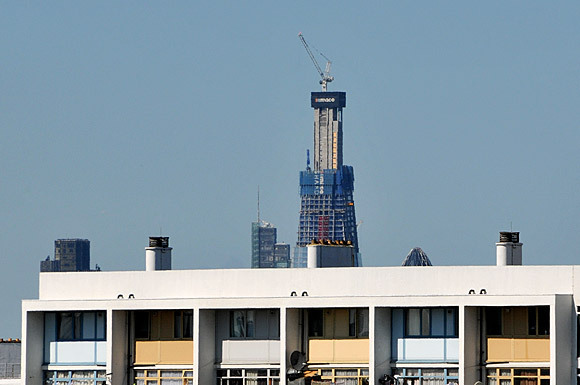 Old and new. 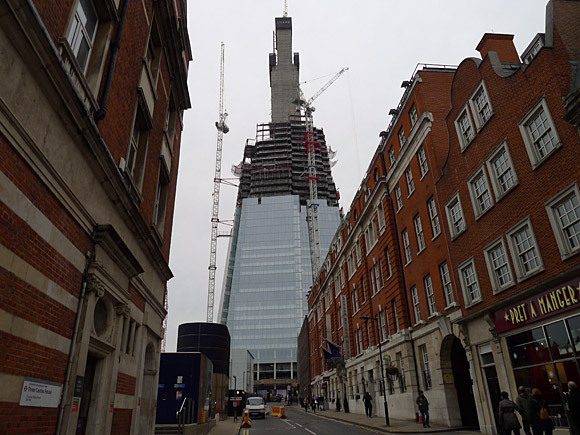 The central core of the Shard as seen from Borough High Street, SE1. 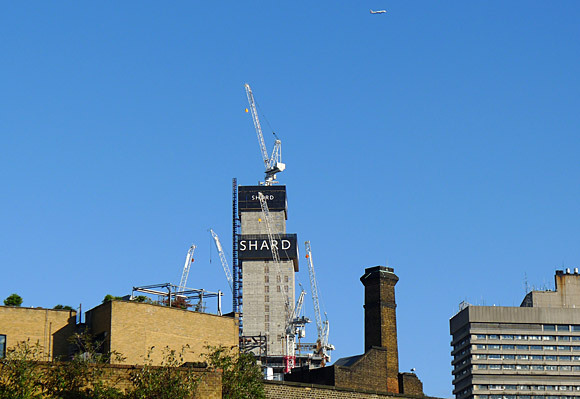 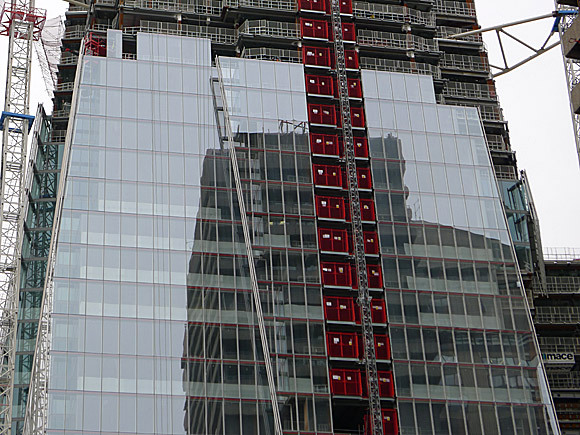 When completed, the Shard will stand 310 m (1,017 ft) tall and comprise of 72 floors, plus 15 further radiator floors in the roof. 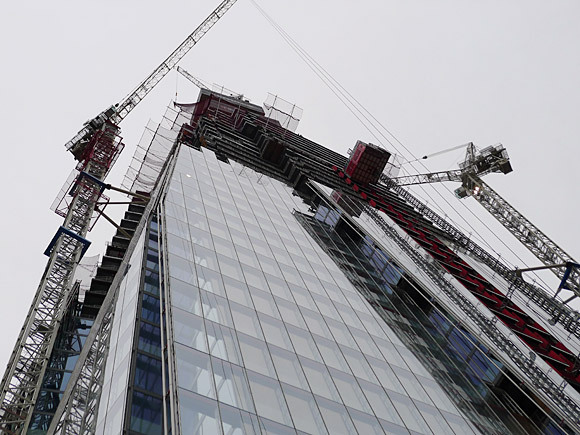 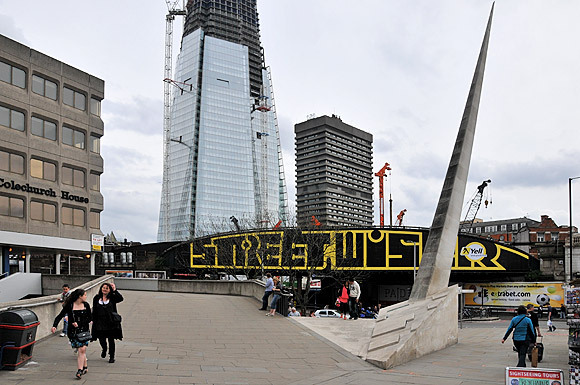 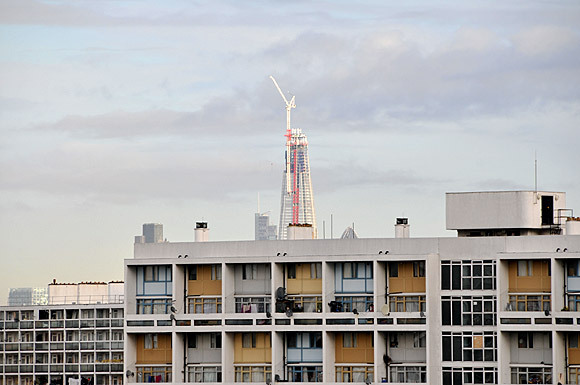 Designed ten years ago by Renzo Piano – the Italian architect who created Paris’s Pompidou Centre of modern art with Britain’s Richard Rogers – the Shard will become the tallest building in the European Union (at least for a while) when completed. 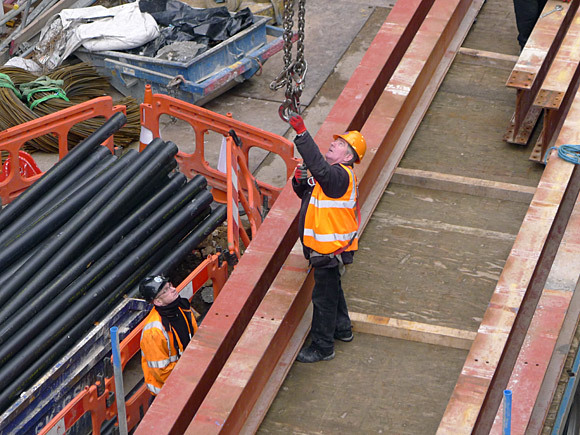 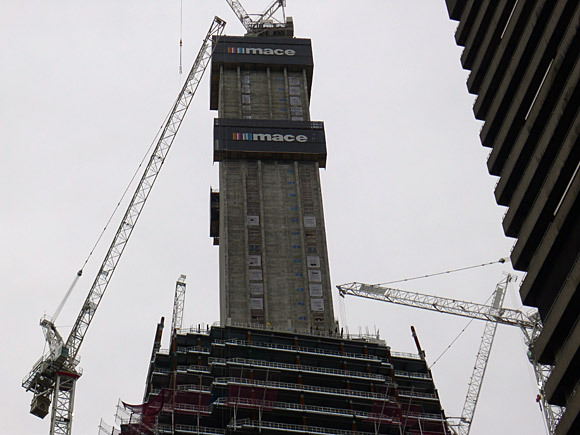 The main contractor for the project is Mace who were reported as blowing their original £350m budget by about £85m back in 2008. 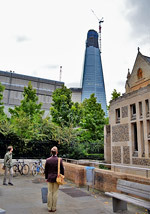 The grey grimness of Guys Hospital next to the Shard. 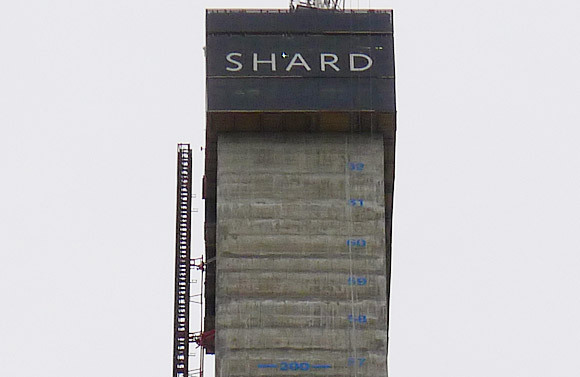 The base of the Shard. 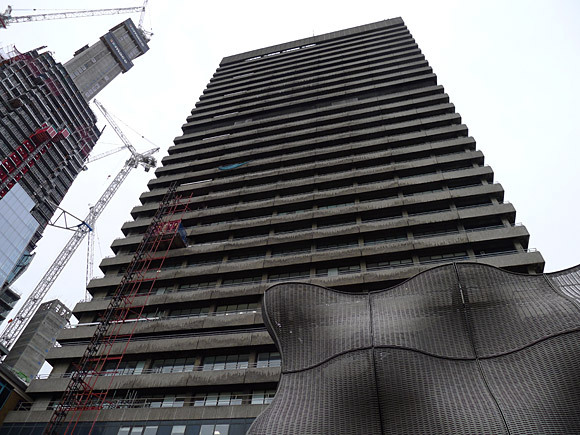 Looking up from the footbridge next to Guy’s Hospital. 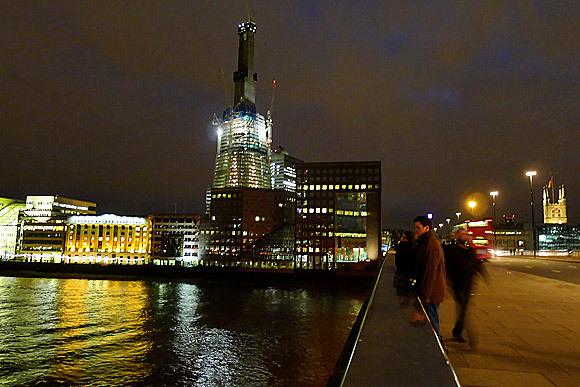 Looking at the tower from near London Bridge. 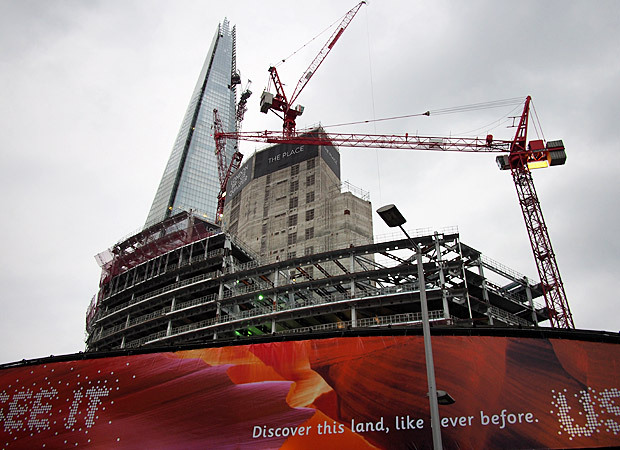 I’s going to make one hell of a landmark when completed! 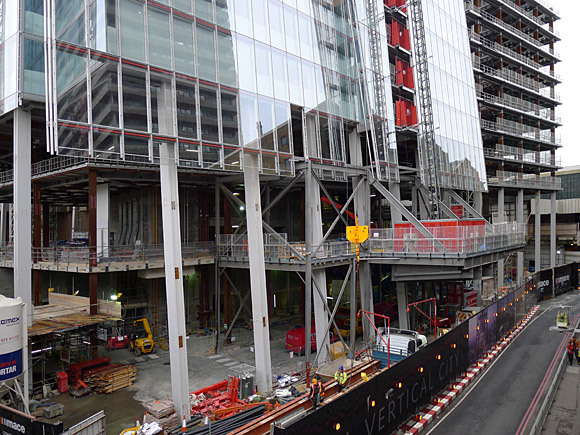 The central concrete core, with the floors marked off as far as number 62. 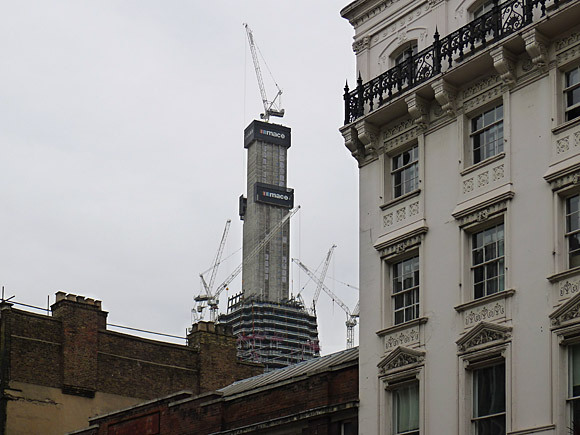 I was, err, including the crane at the top.